Djouce Mountain offers a great way to introduce your family to hill walking. There are two car park areas on the R759 to set off from. 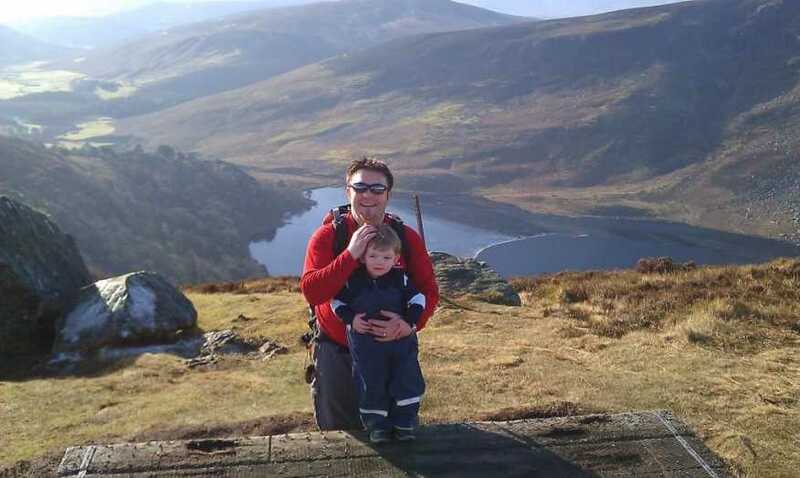 For families with really young kids even a short 10 minute walk up to the JB Malone memorial (Large boulder rock) offers beautiful views of Lough Tay and the surrounding areas. After the memorial the walk continues on railway sleepers and does not gain or lose major height until you get to a forested area with a wooden step over. This is a perfect spot to stop for a picnic. Kids as young as 3 have comfortably made it to this point and had enough in the tank for the return journey. At this point you are ¼ way to the summit, for families with older kids you can continue on the Wicklow way until you get to a point where the path splits right (east) and the summit is straight on. While this is a comfortable introductory hike with clear paths the weather can still turn very quickly with heavy mist making visibility and navigation difficult, please make sure you have and can use a compass and OS map no 56. Enjoy a wonderful hike.